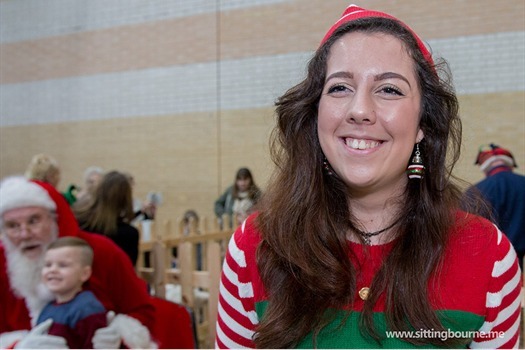 The Swallows Leisure Centre held its first ever Christmas Fayre on Sunday with a host of stalls, live entertainment, ice skating and the stars of the show Santa and his reindeer. I arrived shortly after the event opened and was surprised at just how packed the hall was right from the start and it appeared to remain so in the time that I was present. The queue to see Santa appeared never ending, but honestly the three reindeer tucked away in a pen behind Santa’s Sleigh proved equally popular with children and parents alike. The ice skating rink set up opposite Santa, was larger than I was expecting, and perhaps not surprisingly of the plastic variety, not that this deterred anyone as this was also extremely busy throughout the entire day. Here I found Miss Sittingbourne Gemma Stokes and carnival princesses Rebecca Port and Kendle Hunter enjoying the experience. 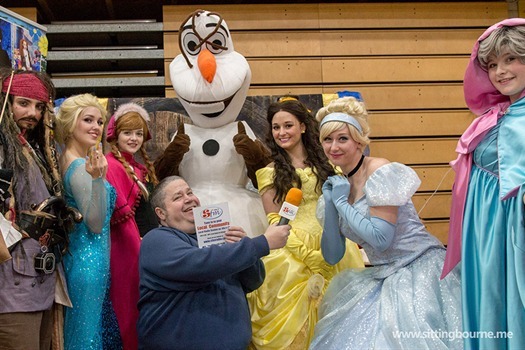 Also present at the event were an array of Disney characters from Dulcima’s Delights including characters from Frozen, Beauty and Beast, Cinderella and Pirates of the Caribbean who incidentally you can hire out for parties. 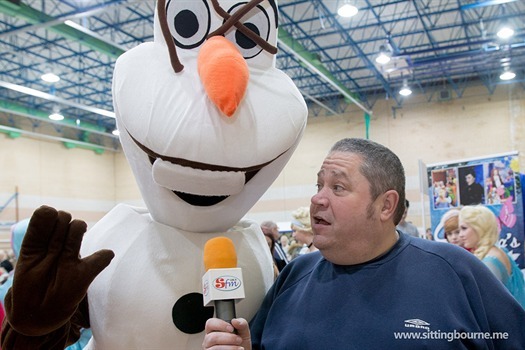 Pitched next door were Sittingbourne FM 106.9 where I found radio presenter Pete Flynn trying to conduct an interview with Olaf. Throughout the day there was also live music courtesy of Big Jam Studios who provided opportunities for local performers to show case their acts including some original material. All in all a very popular event and I'm sure the Swallows will want to bring this back next year.